We understand that you enjoy running! Unfortunately injuries may be sustained secondary to several reasons including physical asymmetry, muscle imbalance, poor flexibility, poor proprioception, poor running form and improper footwear. 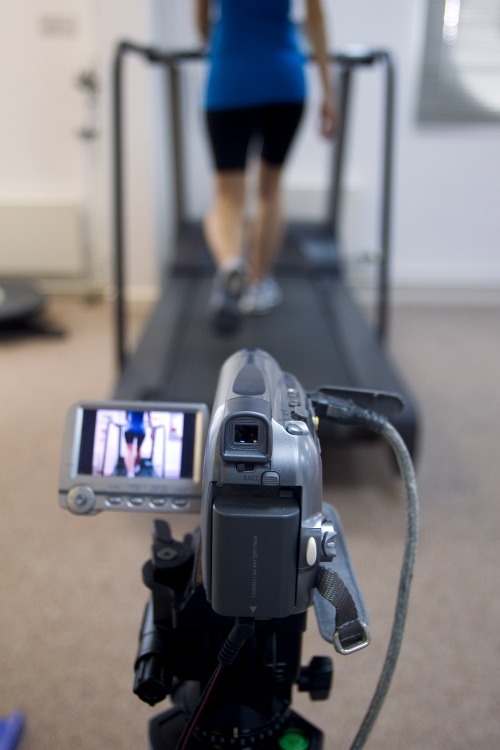 The purpose of the Video Treadmill Gait Analysis and Biomechanical Assessment is to identify problems and correct them, subsequently reducing injury and enhancing performance. The patient will undergo a complete Biomechanical Assessment of the lower extremity, spine and trunk. Strength, range of motion, flexibility, core stability, navicular drop test, and proprioception will be assessed. This will be followed by a Video Treadmill Gait Analysis where the patient will be videotaped running and walking barefoot and with shoes on the treadmill. One week later a subsequent appointment will be made. The client will be provided with feedback regarding muscle imbalance, strength, flexibility, asymmetry, running/walking form and proper footwear requirements. If custom orthotics are recommended the casting will also be done at Physiotherapy Works! The video will be analyzed using Dartfish Video Softwear, allowing the video to be replayed in slow motion as well as measure angles and synchronize video clips side by side. The cost of the Initial Biomechanical Treadmill Analysis Assessment is $165. The subsequent visit is $75 and includes the Dartfish softwear and PhysioTec individualized exercise program as required. Appointments must be booked with Stephanie Roberecki, BMRPT for this specific assessment. Call to book your appointment at 204-942-2463 or by email at physiotherapyworks@shawbiz.ca. We want to keep you running!